Las Vegas – January 9, 2012 – Samsung Electronics America Inc., a subsidiary of Samsung Electronics Co. Ltd, today announced the second generation Samsung Series 9 notebook at the International Consumer Electronics Show (CES) in Las Vegas. Following the former model’s premier at the CES 2011, the new Series 9 represents Samsung’s best-in-class innovation and craftsmanship in the premium notebook segment. Featuring one of the thinnest, lightest laptop form factors ever introduced, the Series 9 is designed to turn heads everywhere. Its unique design and innovative engineering breaks all common perceptions of premium notebook PCs. Super-slim components were tailor-made to fit into the innovative single shell body, making the second generation Series 9 an ideal choice for power business users and discerning consumers alike. The second generation Series 9 will be on display at the Samsung CES booth, #12004 in Central Hall, from January 10-13, 2012. Weighing as light as 2.5 pounds and measuring just a half inch thin, the second generation Samsung Series 9 can be effortlessly carried anywhere. Artfully crafted by Samsung’s team with over 33,000 hours in research, design and development, the end result is a laptop that is 37 percent thinner and 0.4 pounds lighter than the original Series 9, as well as more visually striking. The build is nearly seamless, using an aluminum single shell body and featuring a more pronounced Series 9 hallmark polished edge. Key components such as the LCD panel, keyboard, motherboard, cables, fans and battery have been customized with precision to fit into the Series 9’s extra flat single shell body. Additionally, the Series 9 has been sand-blasted for fingerprint resistance, keeping the Mineral Ash Black colored body and natural matte aluminum sides pristine at all times. The second generation Series 9 display is astonishingly thin thanks to Samsung’s engineers, who carefully thinned the layers of the LCD screen without sacrificing quality. Featuring 1600x900 resolution and Samsung’s SuperBright Plus technology (400 nit), the 13.3-inch or 15-inch screen is perfect for viewing everything from photos and movies to work documents. The display is housed in one of the thinnest and most compact chassis ever, enabling Samsung to fit a 15-inch screen in a 14-inch chassis, reducing the product’s overall size. The wide viewing angle and matte nature of the display makes for easy use both inside and out, while the backlit keyboard lets you remain productive even in low lighting. For the first time, the new Samsung Series 9 will offer the world’s thinnest and most compact 15-inch premium notebook. The Series 9 15-inch features a vivid SuperBright Plus display that fits into a compact 14-inch chassis. With a stunningly slim profile measuring just 0.58 inches and weighing just 3.5 lbs, makes this 15-inch Series 9 almost 50 percent more compact than any existing 15-inch thin & light notebooks. For powerful performance on-the-go, the second generation Samsung Series 9 will include a 128 GB SSD and Intel® Core™ i5-2467M processor at launch. Accessible connectivity was also highlights major improvements, moving everything to the corners without any impedance; users can easily access video, audio and data connectivity including USB 3.0 and a multi-card reader. Thanks to Samsung’s Fast Solutions technology, the new Series 9 boots in as little as 9.8 seconds and wakes up in 1.4 seconds and offers web browsing speeds that are up to twice as fast. Perfect for road warriors, Samsung’s exclusive Easy Settings make it effortless to connect the Series 9 to wireless networks, projectors and more by providing easy access to commonly used PC settings, resulting in stress-free business travel and presentations. With Samsung Easy Migration, users can seamlessly transfer existing files to the new laptop by connecting their old PC to the new one and simply launching and starting Easy Migration. For ultimate mobility, the Series 9 offers up to ten hours of real-time battery life for the 15-inch and up to seven hours on the 13.3-inch, keeping users connected to both their professional and personal lives all day. Additionally, the inclusion of Samsung Battery Life Plus technology means that the battery will retain 80 percent of its original capacity for up to 1,500 charges – giving users a battery that can last up to five times longer than other notebooks and works whenever and wherever they need it, even after three years of use. Samsung’s Support Center ensures all content stays safe and can help troubleshoot any particular problem. Accessible with a keyboard shortcut, the Support Center helps users manage their system settings or arrange for a tech-support web chat. Samsung’s Back-up & Recovery Solution also allows users to create and restore back-ups of system data on the device, or on a network or removable storage device. The second generation Samsung Series 9 will be available starting February 27, 2012. It will retail for $1,399.99 for the 13.3-inch and $1,499.99 for the 15-inch. All Samsung mobile PC products are available through Samsung resellers and distribution channels. 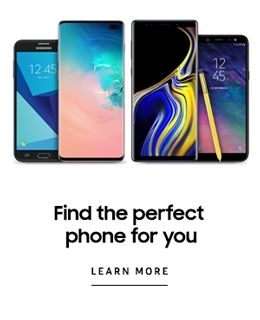 For a full list of retailers, call 1-800-SAMSUNG or visit http://www.samsung.com. 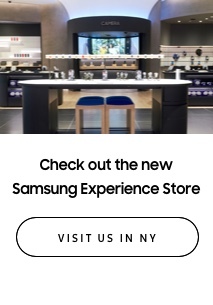 Full details, video content and product images are available at the Samsung microsite at: http://www.samsungces.com. * All functionality, features, specifications and other product information provided in this document including, but not limited to, to benefits, design, components, performance, availability and capability of the product are subject to change without notice or obligation. Please visit our booth to experience this future technology firsthand. Samsung’s product line will be displayed January 10-13 at booth #12004 in the Central Hall of the Las Vegas Convention Center. Full details, video content and product images are available at the Samsung microsite at: http://www.samsungces.com. The press conference will also be streamed live from http://www.samsungces.com and www.global.samsungtomorrow.com. Samsung Electronics Co., Ltd. is a global leader in semiconductor, telecommunication, digital media and digital convergence technologies with 2010 consolidated sales of US$135.8 billion. Employing approximately 190,500 people in 206 offices across 68 countries, the company operates two separate organizations to coordinate its nine independent business units: Digital Media & Communications, comprising Visual Display, Mobile Communications, Telecommunication Systems, Digital Appliances, IT Solutions, and Digital Imaging; and Device Solutions, consisting of Memory, System LSI and LCD. Recognized for its industry-leading performance across a range of economic, environmental and social criteria, Samsung Electronics was named the world’s most sustainable technology company in the 2011 Dow Jones Sustainability Index. For more information, please visit www.samsung.com. Samsung Electronics America, Inc. (SEA), based in Ridgefield Park, NJ, is a subsidiary of Samsung Electronics Co., Ltd. The company markets a broad range of award-winning consumer electronics, information systems, and home appliance products, as well as oversees all of Samsung’s North American operations including Samsung Telecommunications America, LP, Samsung Semiconductor Inc., Samsung Electronics Canada, Inc. and Samsung Electronics Mexico, Inc. As a result of its commitment to innovation and unique design, the Samsung organization is one of the most decorated brands in the electronics industry. The company was ranked #19 in BusinessWeek/Interbrand “100 Best Global Brands,” and named as one of Fast Company’s “50 Most Innovative Companies of 2010.” For more information, please visit www.samsung.com. You can also Fan Samsung on www.Facebook.com/SamsungUSA or follow Samsung via Twitter @SamsungTweets. Click the thumbnails above to see a larger image and to download a hi-res version.